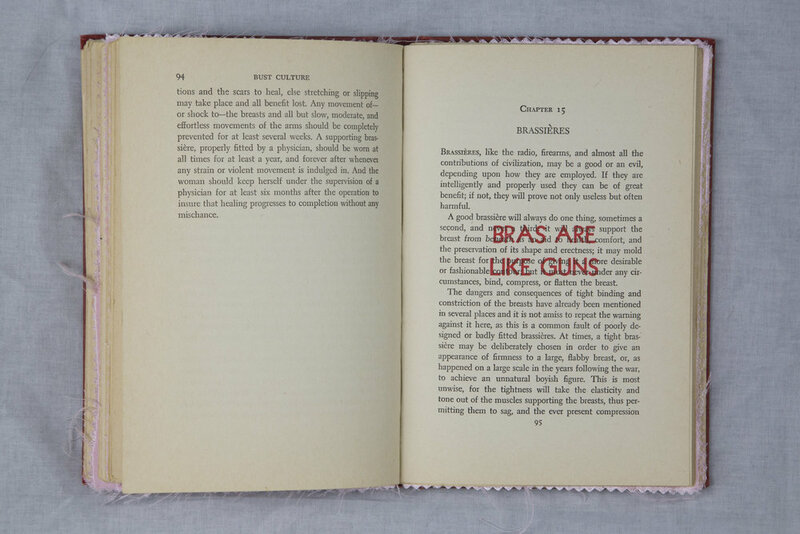 Altered copy of “The Complete Guide to Bust Culture” by A.F. Niemoeller (1939), in which I have used red letterpress type to print over the original text. 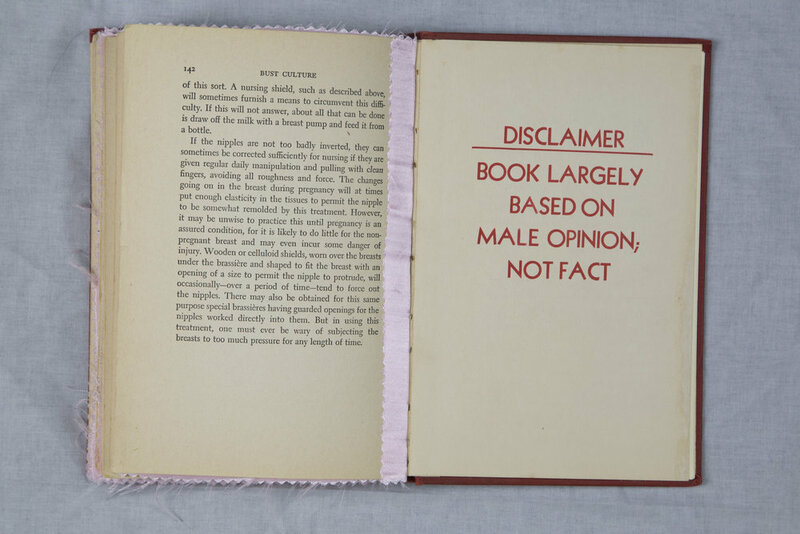 Hand-sewn fiber illustrations were sewn into the book in response to claims by the author. Edition of 3.